Tropical Storm Hermine could regenerate into a hurricane by the time it reaches the Delmarva Peninsula late Sunday or early Monday. Virginia and Maryland have declared a state of emergency. WASHINGTON — Tropical Storm Hermine continues to churn over Southeastern Georgia moving northeast at 18 mph. It is currently more than 520 miles to the south-southwest of Washington, D.C. After making landfall Friday in Florida, winds from this storm have diminished from a high of 80 mph to just 50 mph. This storm will move off the Carolina coast, around the Outer Banks, by Saturday afternoon. Then it will continue to scoot north just to park itself just off the Chesapeake Bay and along the Delmarva Peninsula. And that is where to expect some major impacts from this storm for our area. The newest track of Tropical Storm Hermine shows the storm increasing in strength once it parks along the East Coast. In fact, winds will increase back to hurricane strength by late Sunday into Monday morning as it gains energy from the Gulf Stream. 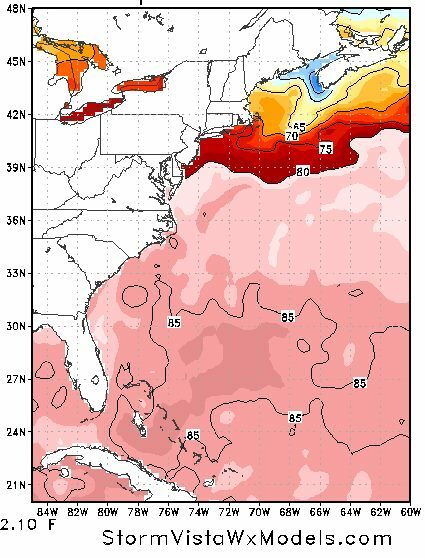 The waters are certainly warm enough for the storm to redevelop into a hurricane. 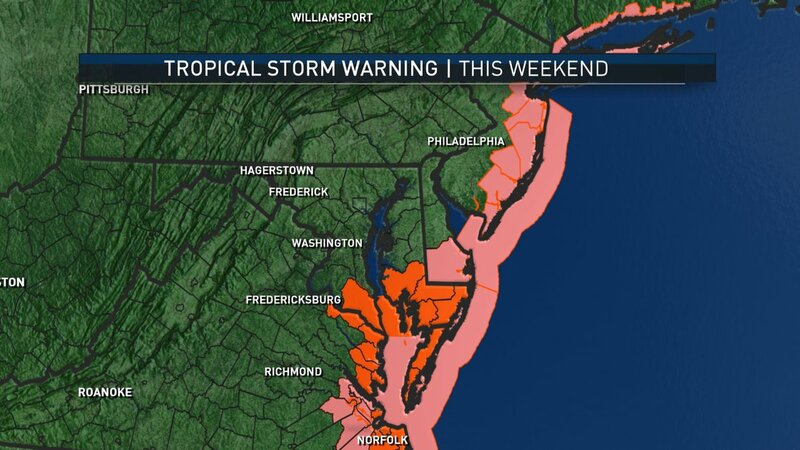 Tropical storm warnings are now in effect for St. Mary’s County in Southern Maryland along with portions of the Eastern Shore going up through Ocean City, Maryland. The biggest impacts in these areas will not only be heavy rain at times but also strong winds and storm surge inundation. And Virginia Gov. Terry McAuliffe has declared a state of emergency ahead of Hermine’s arrival, which could cause severe flooding, downed trees and power outages in much of the state. Six to 10 inches of rain are expected in the eastern half of the state. Storm surges could be 2 to 4 feet from Virginia Beach up to the middle of the Chesapeake Bay, he said. McAuliffe urged vacationers to delay traveling to Virginia’s beaches until Saturday. 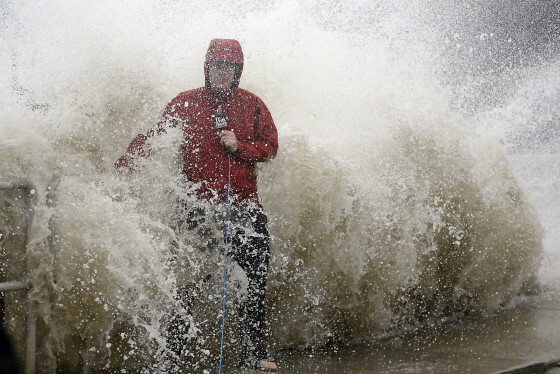 The forecast and track of the storm could still change and head out to sea, he said. Storm surges could be as high as 1 foot above the ground early Saturday morning through Sunday evening in St. Mary’s County. But the storm surge could be a problem as far as New York City and Bridgeport, Connecticut. Maryland Gov. Larry Hogan declared a state of emergency for parts of the state, including some counties in the WTOP listening area. Hermine will move through the southeastern states and off the North Carolina coastline bringing heavy rain through eastern North Carolina and into the Virginia Beach area. Once it moves off the coast, it will continue to slowly move northward through Sunday becoming almost stationary off the Delmarva Peninsula due to an area of high pressure to the north blocking any progression of Hermine. If you are traveling to the Outer Banks, heavy rain is expected through Saturday, tapering off by midday Saturday, as Hermine moves into the Mid-Atlantic region. There will be a sharp cutoff of precipitation in our area as Hermine hangs off the coast. In fact, there is a lot of the region that will not see any rain from the storm, but will instead see just breezy conditions. By daybreak Saturday, some rain will begin from Southern Maryland and out toward the Eastern Shore, including Ocean City, Maryland. 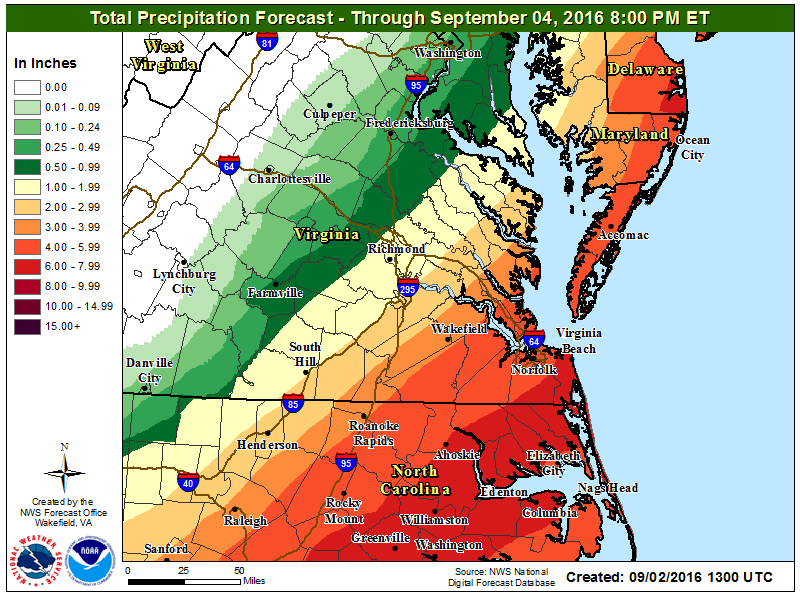 Rain totals do not looks too impressive for the D.C. region. The Shenandoah Valley should be spared, and just passing showers in the Greater Washington area Saturday through Sunday. In fact, there are going to be plenty of dry periods. However, Southern Maryland can expect periods of rain, which will be steady at times. Rain will be ongoing for the Eastern Shore, Maryland beaches and the Chesapeake Bay areas. Clouds will stick around for much of the day with the exception of the Shenandoah Valley. Areas along Interstate 81 could even see some sunshine by the afternoon! Winds will be a big factor, especially areas east of Interstate 95. Although most of our region along the I-95 corridor will see some breezy conditions (winds NE 15-25 mph with gusts up to 30 mph), there is a good chance for tropical storm force winds for areas to the east. This graphic shows the possibility that Hermine will generate of tropical storm force winds — 39 mph or greater. Courtesy of National Hurricane Center. Either way, I do believe that the winds in the area most affected (Eastern Shore, Maryland beaches, Chesapeake Bay) will be 35 to 45 mph with gusts up to 60 mph possible. It does not look like a good beach weekend and even Monday and Tuesday may be affected with some rain showers, strong winds and plenty of clouds in the target area. Also, expect strong rip currents, large swells, rough surf and possible power outages in some spots due to strong winds and a wet ground. The storm will still be churning off the coast on Monday and into Tuesday. I do believe we will keep some clouds along the I-95 corridor with sunshine moving in for areas west of D.C. There will be very strong winds especially if Hermine continues to strengthen. I am keeping most of the area dry with the exception of the Eastern Shore, Maryland beaches and Chesapeake Bay area and areas east of I-95 that could have some lingering shower activity through Tuesday. We will have to continue to monitor this situation as the storm projections have changed already since Friday morning. As we go through the weekend, if it changes, we will continue to update you with the latest. Keep it here and also with NBC Washington. Hermine started out as a tropical storm, became a hurricane and then was downgraded. See photos before and after the storm.